Welcome to ComingSoon.net’s March 26 Blu-ray, Digital HD and DVD column! As you can see, we’ve added a video player at the top highlighting this week’s releases, and you can find more detailed write-ups of different titles below! 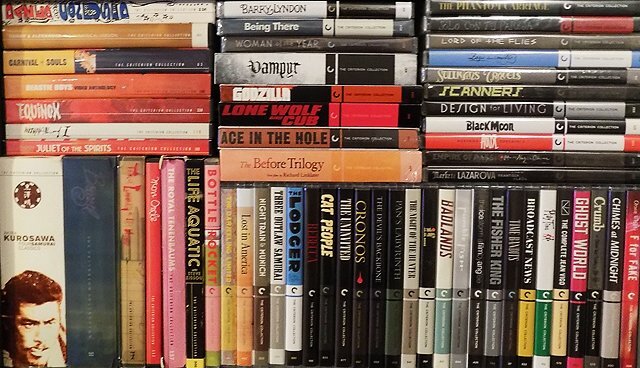 Click each highlighted title to purchase through Amazon! 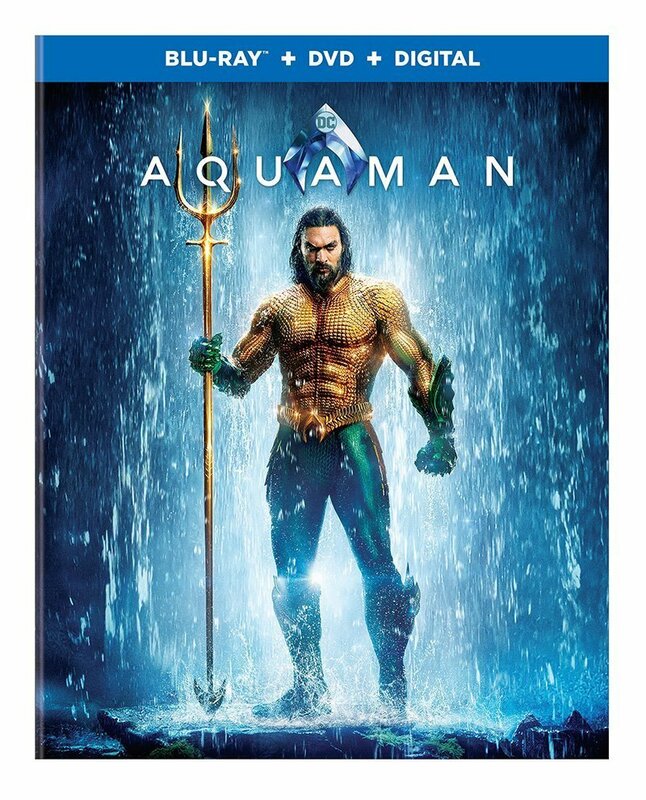 An action-packed adventure that spans the vast, visually breathtaking underwater world of the seven seas, this film reveals the origin story of half-human, half-Atlantean Arthur Curry and takes him on the journey of his lifetime—one that will not only force him to face who he really is, but to discover if he is worthy of who he was born to be…a king. Click here to read our previous interview with director James Wan! Laurel & Hardy go on a whirlwind tour to try and reconnect with their fans, but face an uncertain future with their golden era behind them. Click here to read our previous interview with John C. Reilly and Steve Coogan! Check out our exclusive deleted scene below! From acclaimed director Barry Jenkins comes this timeless love story set in 1970s Harlem, where a young couple and their families fight for justice – and the promise of the American dream. A fascinating look at the cult film Flash Gordon and the turbulent life of its star Sam J Jones. Jones struggled with sudden fame and his battle with producer Dino De Laurentiis. Includes Brian May on the band Queen’s iconic score. The 1979 directorial debut of Robert Zemeckis follows a group of teens as they attempt to see The Beatles during their famous debut on The Ed Sullivan Show. The terrifying tale by Stephen King is also a beloved adaptation of the best-selling author’s work. Pet Sematary follows the tragic story of the Creed family. After their cat is accidentally killed, a friendly neighbor advises its burial in a mysterious nearby cemetery. When the cat comes back, it’s only the beginning of an unthinkable evil leading to hell and back. Clint Eastwood is the “Man With No Name,” who teams up with equally lethal Lee Van Cleef in pursuit of a sadistic killer and his band of desperadoes in this non-stop action classic. Meet the meanest and most lethal karate master ever to rule the streets. He’s Sonny Chiba, one of the greatest martial arts actors to ignite the screen. Haunted by the terrors of her experience with African witch doctors, school teacher Gwen Mayfield (Joan Fontaine) accepts an appointment as headmistress at the Haddaby School. The danger that follows brings her face to face with witchcraft as a series of disasters unfold and lead her to the horrible truth. Kino Lorber issues four of the classic “Road” movies starring Bob Hope and Bing Crosby to Blu-ray. In the rolling Utah countryside, a small town is host to a fortress-like research facility, which the townspeople believe is developing new advancements in agriculture. But deep within is a top-secret project to create a bioweapon that turns anyone exposed to it into a raging, psychotic killer. An aborted fetus dumped in a sewer full of toxic sludge returns. Newly restored in HD. Skid row bar, 1912, a rag tag group of fallen men, each like a ghost haunting the wreckage of his own life, await the annual arrival of Hickey (Lee Marvin). This year, however, the charismatic Hickey brings not the usual rounds of drinks but the unwelcome news that he’s off the sauce for good and has come to persuade Hope’s drunks to do the same. The debut film from legendary anime director Satoshi Kon has frequently been hailed as one of the most important animated films of all time: an intense psychological thriller for the social media era. Screen icon Boris Karloff plays the title role in the Val Lewton adaptation of Robert Louis Stevenson’s story, directed with subtle calculation by versatile Robert Wise. The work’s cut out for a highly trained bodyguard, tasked with protecting a wealthy businessman’s pampered and beautiful daughter. 73 years after the events in of the first movie, humans have lost the Cyborg Wars and they are now slaves to the cyborg masters. This film chronicles the heartwarming adventure of Bella, a dog who embarks on an epic 400-mile journey home after she is separated from her beloved human. The Step Brothers are reunited – this time playing the world’s greatest detective and his loyal sidekick & biographer. The United Kingdom in the near future. Civil war rages, and martial law has been declared by a military government hellbent on squashing the opposition. A woman (Scottish BAFTA nominee Shauna MacDonald) wakes up in a blindingly white cuboid cell, where General Zakarian (Oded Fehr) uses increasingly sophisticated and cruel methods to torture her for information – information she claims not to have. The hunt for a killer draws a detective into an even larger mystery: the nature of the universe itself. Mike Hoolihan (Patricia Clarkson) is an unconventional New Orleans cop investigating the murder of renowned astrophysicist Jennifer Rockwell (Mamie Gummer), a black hole expert found shot to death in her observatory. In the world of 1970s motor racing, Hurley Haywood was cool, calm and collected. A five-time 24 Hours of Daytona winner, three-time Le Mans winner and Trans-Am champion, Haywood was a Hollywood archetype: a strikingly handsome man brought up by an affluent Midwestern family. This film creates a genuine badass hero as a tribute to survivors’ incredible strength while also exploring the extreme consequences and stakes, physical, emotional, financial, that are real for so many people that enter the situation of domestic abuse.